Brock Lesnar is the reigning WWE Universal Champion, however, despite holding the prestigious title, 'The Beast Incarnate' has lately been sidelined on the WWE's flagship show Monday Night RAW. 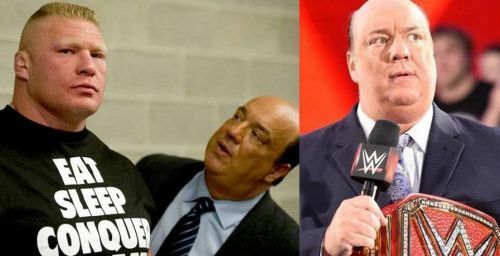 Now granted that Lesnar's 'Advocate' Paul Heyman and Lesnar himself do show up every now and then, the Universal Title picture has become somewhat of an afterthought on RAW. Having been a fan of the WWE for a few decades now, it feels just as strange to me -- and I'm assuming you feel the same -- that the biggest title on WWE RAW has little-to-no hype surrounding it as we inch closer to WrestleMania 35, which takes place next month. UFC 235 is in the books now, and UFC Light-Heavyweight Champion Jon Jones successfully defended his title against Anthony 'Lionheart' Smith with a dominant 5-round Unanimous Decision win. 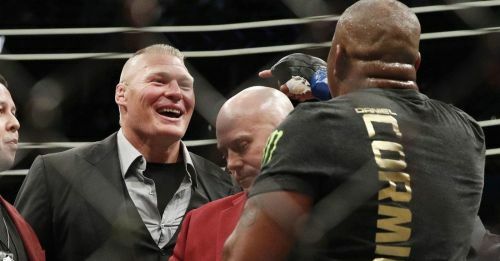 However, Jones -- who had previously stated that he'd love to fight Brock Lesnar at Heavyweight in the UFC -- will not be getting the fight with Lesnar. According to UFC President Dana White, Jon Jones' longtime nemesis and current UFC Heavyweight Champion Daniel Cormier will be fighting Lesnar sooner rather than later. Now, let's take a look at how this affects Lesnar's standing in the WWE. Lesnar could very well fight Cormier later this year and then continue with his part-time schedule in the WWE. However, it's understandable why Lesnar's role on Monday Night RAW is even more limited than it used to be a few months ago.